Score free Cascade Action Pacs with TopCashback! 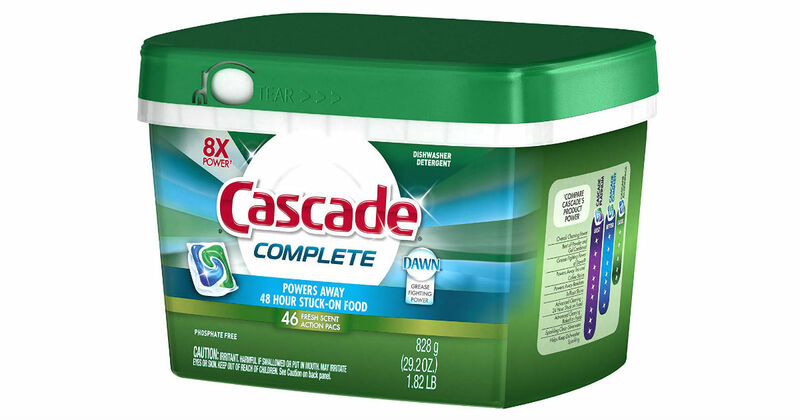 Through February 5th 2019, score a free 48-count container of Cascade Platinum ActionPacs Dishwasher Detergent or Cascade Complete ActionPacs Dishwasher Detergent at Walmart, a $13.97 value. All you have to do is sign up for a new TopCashback account and use it to make your purchase. Add 1 “Cascade Platinum ActionPacs Dishwasher Detergent OR Cascade Complete ActionPacs Dishwasher Detergent” priced for $13.97 to your cart and shop as you would normally then checkout. If the price changes or anything happens to the stock, the deal is officially over. Once you checkout, in about 14 days $13.97 will post in your TopCashback account.